PRIOR to September 11, 2001, Americans (westerners, in general) viewed Islamic Jihad as the Middle East’s cross to bear. But some of us knew better. SO much so, to awaken the masses, uncomfortable truths for comfortable westerners were highlighted within my (with co-author Joe Newby) groundbreaking book, BANNED: How Facebook Enables Militant Islamic Jihad, Chapter Two – Militant Jihad: Its Knock-On Effects To The West. BASICALLY, regardless of where one stood on the shock barometer after September 11, 2001, the fact of the matter is that its knock-on effects were rippling inside America, and well before that fateful day, albeit, under the radar. IN reality, the “opening shot of jihad” on U.S. soil made its official debut on November 5, 1990, with the very brazen public assassination of Rabbi Meir Kahane at the New York Marriott East Side Hotel in Manhattan, New York. Back in 2005, I expounded upon its underpinnings in an op-ed at Israel National News. It was that intrinsic and that obvious. IT is along this dangerous trajectory, spider-web like, that a continuous list of Jihadi terror explodes with horrific consequences; be it in the Middle East, the U.S., Europe, Africa, and the west at large. Simply put, not one corner of the globe is safe from Allah’s Muslim terrorists. It is what it is. Therefore, is it any wonder that countless operate to frustrate and mitigate the damage before it is too late? Rhetorical. IN this respect, aside from (officialdom’s) security agents operating 24/7 – for the most part, unnoticed – others act as private “contractors.” As an American-Israeli with contacts on both ends, it only makes sense that they cross this path – that is, when certain assistance is needed. Herein lies the thrust. INCONTESTABLY, it is within this context that a segment of Arab Christians (in Israel proper, outside the so-called “green line”, and elsewhere) bear the utmost scrutiny, for they are “sympathetic” to Islamic Jihad and utilize whatever paths they can to assist, even as they babble on and on about “peace.” Yes, they are more than capable of “swinging both ways” – and this does not refer to their sexual proclivities! 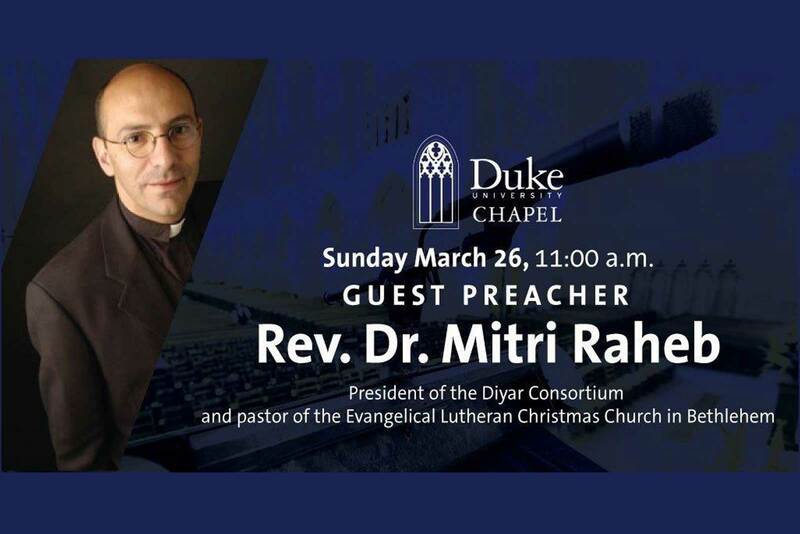 MORE specifically, when Mitri Raheb – a Christian (Lutheran) Pastor from Bethlehem, for heaven’s sake, the birthplace of Jesus! – attests to this and that, well, the faithful sit up and take notice. Others alike. Not only that, since he crisscrosses from Israel (more precisely, from PA-controlled territories within Judea and Samaria) into the U.S. on a regular basis, some have taken an interest in his “comings and goings”, thus, giving a shout-out in this direction. Understood? BUT what is really going on is much more than the rantings of another leftist-bent Lutheran Pastor, one of countless within the Church’s hierarchy. Know that the aforementioned clarion call is not for nothing. 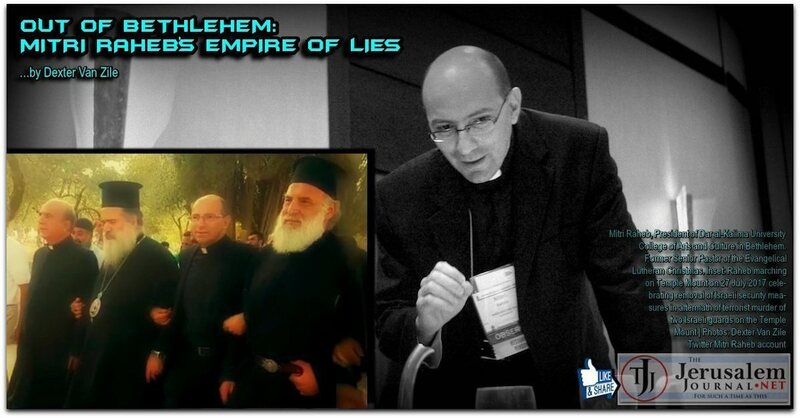 Rather, it encompasses a growing body of links between Mitri Raheb (with Christian associates in tow) and Hamas’s Jihadi leadership! Hamas is a Palestinian political movement that has an important role. No one can deny this. The Church is in constant communication with Hamas in the West bank via many delegations from the Church. Some people in the church believe in the armed resistance, and we do not disagree. Once you have occupation, you will have resistance. CLEAR as a bell. No ifs, ands, or buts. AS we say in Israel, sach ha’kol, at the end of it all, those who are arrogant enough to believe that their tracks are shielded through this and that deceptive cover – while lending support, material or otherwise, to Jihadi terror on whichever side of the Atlantic – would be advised to think again. To re-calibrate their calculus. AFTER all, one never knows who’s watching….bearing witness….waiting…. This entry was posted in Uncategorized and tagged Arab Christians, Israel National News, Mitri Raheb by Adina Kutnicki. Bookmark the permalink.